This is a dendrite stone set in a sterling silver pendant mounting. A dendrite is a mineral incursion that forms inside of another rock often making pictures like fences, flowers, etc. 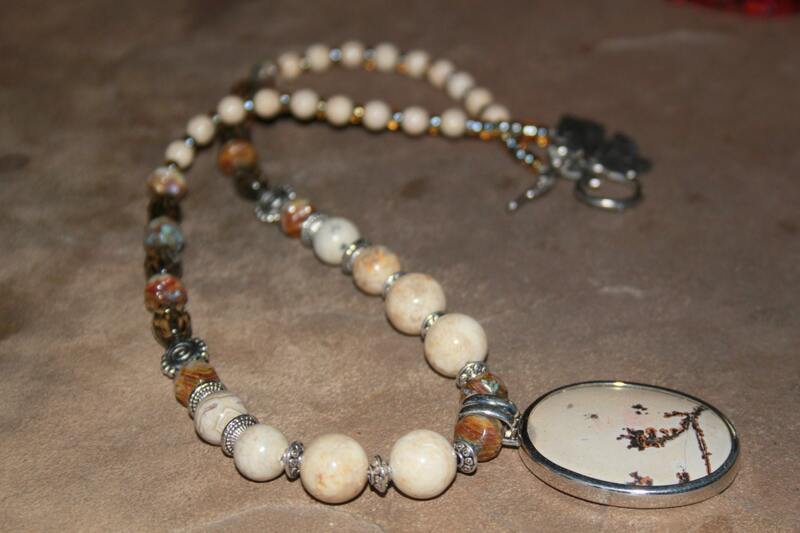 The base stone is alabaster with matching alabaster and jasper round beads around the neckline. It also features gray crystals and Bali silver flat rounds beads with a spiral pattern and a silver toggle clasp that looks like a leaf. The necklace is 21" long and is one-of-a-kind.